Savory Herbed Potatoes with Parmesan Flakes - Foodie Friday - THE OLIVE BLOGGER - Recipes your family will love! This looks amazing!! Definitely making this ASAP! You compiled two of my faves, potatoes and cheese! I have to try this for sure! How could you not love it, right?! Thanks so much for stopping by Ashley! Whoa, whoa. This is perfection! I have gotta try these! We love potatoes over here. I can’t wait to give this a try. It’s so different and looks yummy! Thanks so much, always nice to change up the usual! Enjoy! Yum, love a quick and easy side dish. These must be so full of flavor…adding to to my yummly page! Thanks so much Stacy!!! They were quite a hit with my potato loving hubby! I am going to whip them up at Thanksgiving to see what the in-laws think! 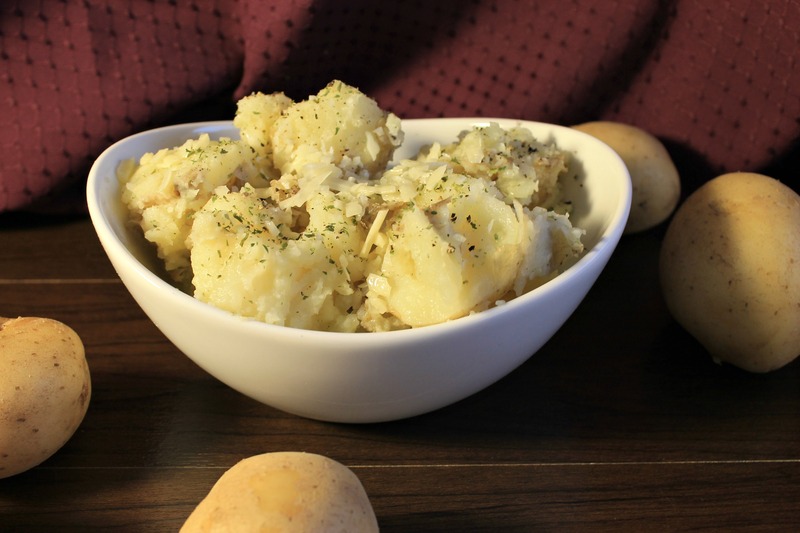 I love potatoes and everything in this recipe! It sounds delicious! Ha!!! I love it Melanie!! You could then wash it down with one of your delicious coffees!